The Robert D. Moreton building is occupied by the Texas Department of State Health Services and is a seven story building approximately 122,000 sf. In the fall of 2010 Structures was part of the team that was awarded the Texas Facilities Commission contract to evaluate the failure of the existing building envelope, identify and evaluate replacement options and provide probable construction costs. The report also identified mechanical system improvements that would benefit the building and its occupants. 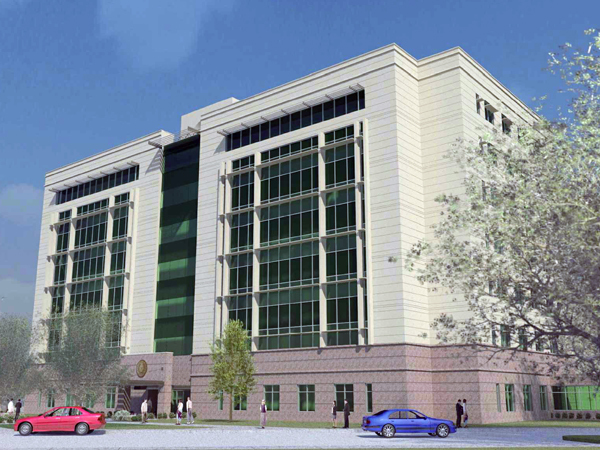 As a result of the evaluation, Texas Facilities Commission sought professional A/E services for the replacement of the exterior envelope and mechanical system improvements. Structures was part of the team awarded the contract, which included the design of the new perimeter structural support system for the new curtainwall surround. In addition, new steel framed awnings and canopies were added to dress up the elevation.